One of my most anticipated films of the year is Martin Scorsese’s Silence. 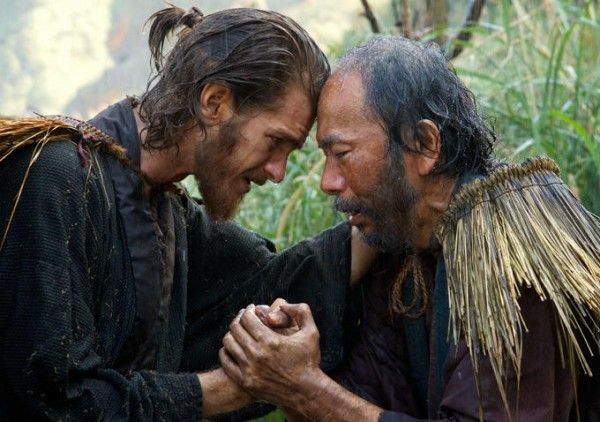 The director has been developing it for years now, and he finally got around to filming the story of two Jesuit priests (Adam Driver and Andrew Garfield) who go looking for their mentor (Liam Neeson) in 17th Century Japan, a time when outsiders, and especially Christians, were treated with disdain and mistrust. Filming wrapped in May 2015 after a 14-week shoot in Taiwan. While we’re still waiting for an official release date, ScreenDaily reports that Paramount “are reportedly lining up a US release in November.” They didn’t say if they were planning for a wide release or if the film will run by any festivals first. There had been some hope for a Cannes debut, but with that festival only six weeks away, that looks unlikely right now. If the film opens in November, it will have a lot of heavy competition throughout the month, but if it can build some solid awards buzz, there’s no reason it can be a solid competitor. Hopefully, we’ll get an official release date soon.